with BMW xDrive All-Wheel Drive. Selling price of a base model 2018 BMW X1 xDrive28i starts at $40,962.25, which includes MSRP ($40,600), freight and PDI (up to $2,145), AMVIC ($6.25), A/C levy ($100), tire stewardship fee ($16), and retailer administration fees (up to $595), less $2,500 cash purchase credit. Licensing, registration, and applicable taxes are extra. Retailers are free to set their own prices. *Lease offers of 0.99% APR for 48 months available only through BMW Financial Services Canada on approved credit (OAC). Lease example based on a base model 2018 BMW X1 xDrive28i: $40,245 (MSRP ($40,600) plus Freight & PDI ($2,145) less $2,500 delivery credit) at 0.99% APR for 48 months. Monthly payment is $397.90 with down payment or trade equivalent of $3,950. Retailer administration fee ($595), AMVIC ($6.25), A/C levy ($100), tire stewardship fee ($16) and fees associated with PPSA ($22.76) are due on signing. Licensing, registration, and applicable taxes are extra and due on signing. First month’s lease payment and security deposit of one month’s payment are due at lease inception. Total obligation for the lease is: $19,839.43. The residual value of the vehicle at the end of the term is $18,270. Annual kilometres limited to 16,000; $0.15 per excess kilometre. Excess wear and tear charges may apply. **$2,500 Credit on new in-stock 2018 BMW X1 xDrive28i models applies to cash and lease/finance purchases made through BMW Financial Services Canada. Selling price of a base model 2019 BMW X3 xDrive30i starts at $52,312.25, which includes MSRP ($49,450), freight and PDI (up to $2,145), AMVIC ($6.25), A/C levy ($100), tire stewardship fee ($16), and retailer administration fees (up to $595). Licensing, registration, and applicable taxes are extra. Retailers are free to set their own prices. *Lease offers of 3.99% APR for 48 months available only through BMW Financial Services Canada on approved credit (OAC). Lease example based on a base model 2019 BMW X3 xDrive30i: $51,595 (MSRP ($49,450) plus Freight & PDI ($2,145)) at 3.99% APR for 48 months. Monthly payment is $597.97 with down payment or trade equivalent of $5,200. Retailer administration fee ($595), AMVIC ($6.25), A/C levy ($100), tire stewardship fee ($16) and fees associated with PPSA ($22.76) are due on signing. Licensing, registration, and applicable taxes are extra and due on signing. First month’s lease payment and security deposit of one month’s payment are due at lease inception. Total obligation for the lease is: $29,442.58. The residual value of the vehicle at the end of the term is $23,241.50. Annual kilometres limited to 12,000; $0.15 per excess kilometre. Excess wear and tear charges may apply. Selling price of a base model 2019 BMW X5 xDrive40i starts at $74,362.25, which includes MSRP ($71,500), freight and PDI (up to $2,145), AMVIC ($6.25), A/C levy ($100), tire stewardship fee ($16), and retailer administration fees (up to $595). Licensing, registration, and applicable taxes are extra. Retailers are free to set their own prices. *Lease offers of 4.49% APR for 48 months available only through BMW Financial Services Canada on approved credit (OAC). Lease example based on a base model 2019 BMW X5 xDrive40i: $73,645 (MSRP ($71,500) plus Freight & PDI ($2,145)) at 4.49% APR for 48 months. Monthly payment is $897.71 with down payment or trade equivalent of $4,240. Retailer administration fee ($595), AMVIC ($6.25), A/C levy ($100), tire stewardship fee ($16) and fees associated with PPSA ($22.76) are due on signing. Licensing, registration, and applicable taxes are extra and due on signing. First month’s lease payment and security deposit of one month’s payment are due at lease inception. Total obligation for the lease is: $43,829.87. The residual value of the vehicle at the end of the term is $35,750. Annual kilometres limited to 16,000; $0.25 per excess kilometre. Excess wear and tear charges may apply. THE SALES EVENT ENDS SOON. DRIVE HOME A BMW 3 SERIES TODAY. *Finance offers based on select 2014 BMW Pre-Owned 3 Series vehicles available only through BMW Financial Services Canada on approved credit (OAC). Limited quantities. Finance example: $19,500 financed at 1.99% APR for 84 months equals a bi-weekly payment of $115. Total number of bi-weekly payments is 182. Up to $595 retailer administration fees, OMVIC fee $10/AMVIC fee $6.25 (as applicable) and $5,000 down payment or trade equivalent due at signing. Cost of borrowing is $1,406. Total obligation for the finance contract is $20,906. A fee associated with PPSA registration, licensing, vehicle registration, and taxes are extra and due on signing. Retailers may set their own prices. Trade between retailers may be required. Offer is subject to availability and may be cancelled or changed without notice. 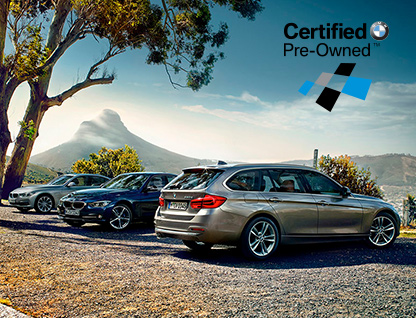 **Complimentary BMW Certified Pre-Owned (CPO) Powertrain Limited Warranty delivers service for mechanical repairs, parts, and labour for 5 years and unlimited kilometres. The protection provides coverage for unexpected repairs during the contract term on select 2014-2016 Pre-Owned BMW 3 Series. For additional peace of mind, talk to your BMW Retailer about the optional Certified Platinum Vehicle Service Contract (VSC) for protection of most mechanical parts of your vehicle in the event of a mechanical breakdown for up to 8 years and unlimited kilometres. 24-hour roadside assistance available for 5 years from vehicle in-service date. Certain conditions apply. See your local BMW Retailer or bmw.ca for full details. ©2019 BMW Canada Inc., “BMW”, the BMW logo, BMW model designations and all other BMW related marks, images, and symbols are the exclusive properties and/or trademarks of BMW AG, used under licence. 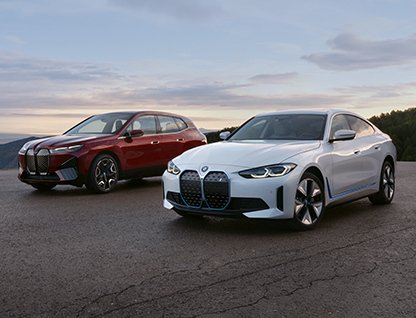 With BMW Certified Pre-Owned (CPO), enjoy unlimited mileage and 24-hour Roadside Assistance on vehicles which have undergone BMW’s extensive 360 degree inspection and reconditioning process.